Whip up the tastiest baked goods with the help of our Mixing Bowl. 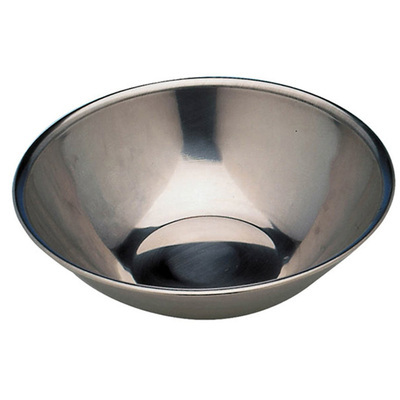 Perfect for use in catering environments across all industries, these hardwearing bowls have been constructed from a durable stainless steel. They are suitable for use with foods and make the perfect tool for combining wet and dry ingredients quickly and effectively. A staple addition to any kitchen, this mixing bowl is finished with a flattened base to offer heightened stability and prevent the risk of spills or additional mess. Whether you're catering to an entire residential home or serving delicious meals to your customers, our bowls are an economic option that works with every budget. Gompels are proud to supply a selection of Catering Supplies to suit kitchens of all sizes and requirements. From staple items including Chopping Boards and White Napkins through to feeding aids such as our Gompels Super Tuff Side Plates or our Adult Soaker Bib, all of our products are of the highest quality. And all of them are available at exceptional wholesale prices.